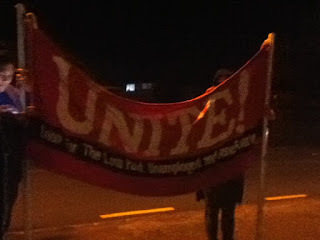 13 June, at Blockhouse Bay. Issued by Unite Waitemata. Last night, Housing Minister Nick Smith and Social Housing Minister Paula Bennett held a public meeting in Blockhouse Bay. Members of Unite , the State Housing Action network, the Tamaki Housing Group, and others, went along to protest. "Whilst many of us protested and chanted outside; others packed the hall inside, to ask the ministers why they are selling off our homes and evicting tenants in a time of greatest need! " 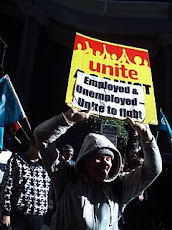 said Janet Robin, spokes person for Unite Waitemata, which is a branch of the Unite Union which represents low paid, unemployed and beneficiaries. " "Whilst rents are soaring, and houses are unavailable, people are living in cars and garages!" said Ms Robin. "National must stop the sale of state houses, maintain them to a good standard, and build thousands more state houses, urgently, without evicting any current tenants! " she said. Ms Robin said that National must "Stop the evictions from State Houses, and stop benefit sanctions which throw people into hardship and homelessness! " 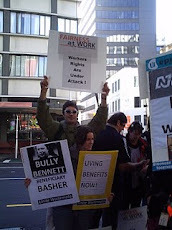 "Work and Income must provide free emergency accommodation for all who need it"
"State housing needs to be administered by Housing New Zealand. 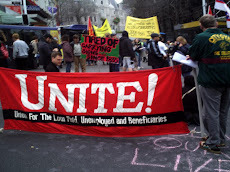 People ‘s housing needs cannot be adequately met by unsympathetic and overworked WINZ case managers, uncaring private developers, or underfunded community organisations," said Ms Robin. "The government needs to stop requiring Housing New Zealand to make a profit! State house rents should put back into maintaining healthy state homes! " 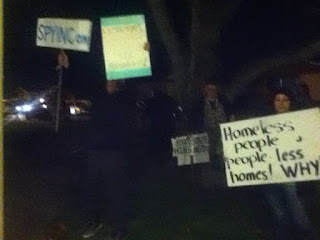 "Housing is a human right! " Ms Robin said that is important to keep state housing, and not replace it with "social housing." "Our state homes are an important state asset. They were built by the working class, paid for by the working class, and belong to to the working class. They must stay in public ownership! " "Community organisations can't afford the maintenance. Private developers are only interested in profit." "Only the government can afford to build and maintain state homes; and is accountable . It is the government's responsibility- to ensure that everyone has healthy affordable homes." 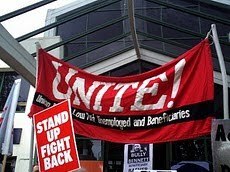 "Unions need to get behind the struggle for properly funded and maintained state homes for all who need them ." Janet Robin also said that "the government needs to institute rent controls for private rentals. "We need to stop rents soaring out of control" she said. By selling rather than building state homes, during a housing crisis, Ms Robin said that "Paula Bennett and Nick Smith have shamefully neglected their duties as housing ministers." "Community organisations such as Te Puea Marae are having to respond to a housing crisis which is entirely of the government’s making. 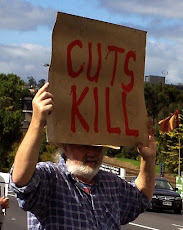 They are showing the aroha and community spirit which is woefully lacking within the government. It is a basic government responsibility to ensure that everybody has healthy affordable homes. " 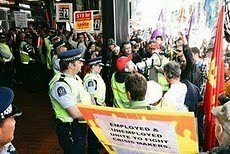 Janet Robin is a the Vice President of Unite Waitemata, which is a branch of the Unite Union focusing on the low paid, unemployed and beneficiaries. 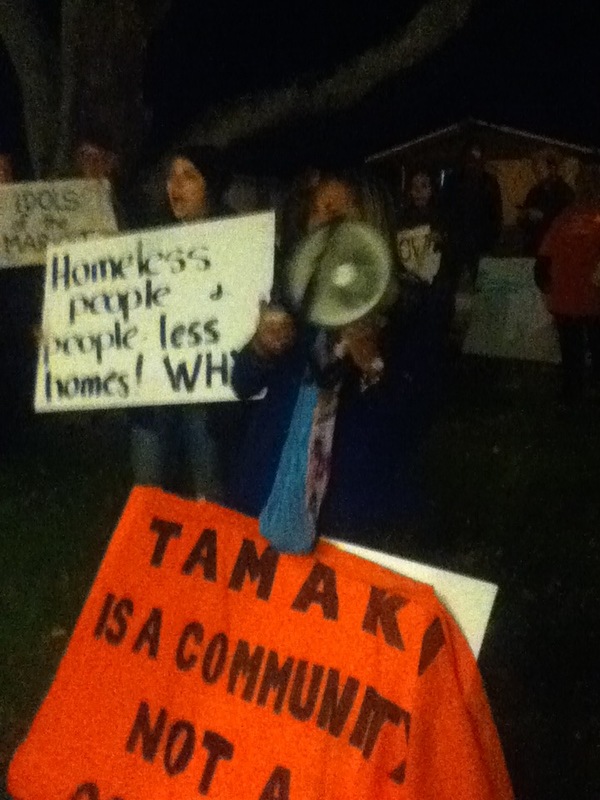 She is also a West Auckland delegate to the State Housing Action Network (SHAN) .